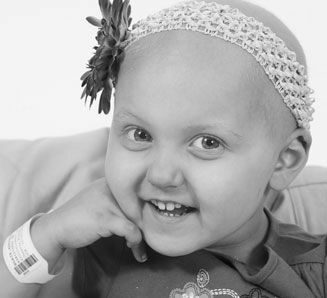 The mission of the Addison Jo Blair Foundation is to create awareness of pediatric cancer while raising and allocating funds that will directly benefit children undergoing cancer treatment at Norton Children’s Hospital. What is the Addison Jo Blair Foundation? 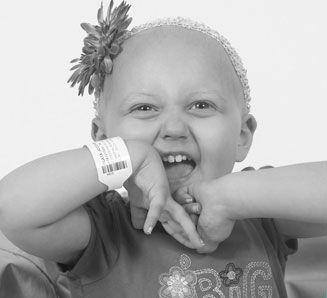 The Addison Jo Blair Foundation is a registered 501(c)(3) non-profit organization whose purpose is to help children and their families who are fighting cancer at Norton Children’s Hospital. The Foundation is compliant with the IRS and adheres to all state and federal laws concerning non-profit organizations. All donations and contributions made to the Foundation are recognized by the IRS and are tax deductible to the fullest extent permitted by law. Along with a Director of Finance, the Foundation also has a CPA which aids in preparation of all monetary transactions and tax reports for the IRS each fiscal year. All Board members and support staff serve as volunteers only, receiving no pay for their service. The Foundation is headed by Addison's parents, Wes and Kelly Blair…and hopefully one day by her brother Brandt and sister Brynlee! 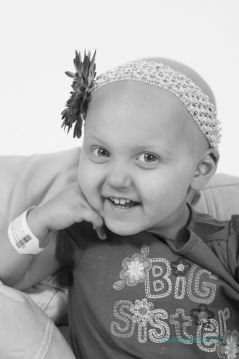 Why the Addison Jo Blair Foundation? It's simple. It's a win. It's a win for our daughter, Addison, may her legacy live on to continue to inspire people while helping kids who need it most. It's a win for Norton Children's Hospital, all the medical staff and employees who helped Addison, and her mommy and daddy along this journey and gave our family the opportunity to have more memories with Addison that we all always cherish and be so ever grateful for. As you read this, these amazing people are doing the same thing for another child and their family. It's a win for pediatric cancer research, with the hope that one day no longer will a family have to endure such a journey. It's a win for those who are traveling this road and need some form of assistance to help them in their great time of need. And, it's a win for those who gave in our time of need. YOUR selfless acts have made this a reality. Without it, much of our foundation would not be possible, especially the commitment to Norton Children's Hospital. We thank YOU and hope you take great pride in this foundation that was made possible by YOU and the blessings it will create for many deserving children. Our daughter Addison Jo, inspired a lot of people, many of whom she never met. She also inspired those closest to her, including her own parents. But, we were also inspired by many around us. Throughout Addison's journey, our family was helped out in so many ways. This is our way of giving back in return, of doing something to all those who helped our little Addison along that journey, that YOU may benefit from and be very proud of. Addison loved Norton Children's Hospital…the nurses, doctors, music/art therapists, food workers, you name it…anyone who worked for "her" hospital (as she would call it). She also loved her friends, those who were living on the same floor and were going through the same trials as she. Her parents also grew to love Norton Children’s. Our family lived there for practically the last five months of our daughter's life. Without these people and the resources offered at Norton Children’s, our last five months with Addison would not have been the blessing that it was. And…so many gave and demonstrated many selfless acts throughout that five months, that we have decided to lead an organization that will help those in need, just as we were. These children and their families will benefit more than words can describe, and it will be made possible because of YOU. It is an amazing feeling for a child who is sick to know that people are thinking about what they are going through on a daily basis and are trying to help them in any way they can. It did wonders for our family and it will for others too. Addison loved Norton Children's Hospital and all her friends she made during her time. We, her parents feel the same and we thank God everyday for the resource that is there in Louisville when God forbid a family may need it, and need it desperately. CURESEARCH, funding for pediatric cancer research that focuses on new treatment drugs, protocols, and cures through clinical trials and research. Norton Children’s Hospital – Children receiving cancer treatment at the Addison Jo Blair Cancer Care Center. Kentucky has the third highest overall cancer incidence rate in the nation, and counties surrounding Norton Children’s Hospital have pediatric cancer rates higher than the national average. Each year more than 650 children are in active treatment at Norton Children’s Hospital for pediatric cancers. Annually, funds are allocated to the Children’s Hospital Foundation at Norton Children’s Hospital to directly support advancements in pediatric cancer care, programming, research, and facilities on the pediatric cancer unit at Norton Children’s Hospital. In 2012, the Addison Jo Blair Cancer Care Center underwent a $400,000 renovation of the unit because of gifts given by the Addison Jo Blair Foundation due to the countless acts of generosity and thoughtful giving by many people. YOUR support continues to significantly impact pediatric cancer care at Norton Children’s Hospital! The Addison Jo Blair Foundation also distributes individual gift bags to children who are diagnosed with cancer throughout the year and hosts food parties for the patients and their families being treated on the floor. **In 2018, the Addison Jo Blair Foundation allocated $5,000.00 to the Children’s Hospital Foundation at Norton Children’s Hospital to provide fully funded patient outings for cancer patients to experience along with their families. Examples of such outings include the following: bowling, family dinners, paint and music classes/excursions, teen escape room adventures, family movie night, and more. This was indicated as a top need by Norton Children’s healthcare staff. Since the beginning of 2012, the Addison Jo Blair Foundation has donated $202,531.10. This amount is in addition to funds that were initially raised by family, friends, and the community during Addison’s journey as she heroically fought to beat cancer. 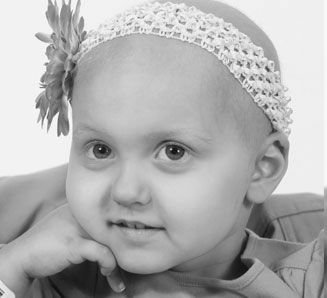 After Addison’s passing, all the remaining funds were donated in the form of a legacy gift, a total investment worth $3 million which has been paid in full, given in her honor and memory by the Blair family from the new Addison Jo Blair Foundation to Norton Children’s Hospital through the Children’s Hospital Foundation. These funds totaled $74,645.14. Since Addison’s passing, Norton Children’s Hospital has also received a total of $6,098.11 given to them directly by private donors in Addison’s honor and memory. As of today, $283,280.35 in total, has been donated to Norton Children’s Hospital since August of 2011 to help children fighting cancer! Amazing!!! Needs Assistance – Families whose children are undergoing cancer treatment at Norton Children’s Hospital can receive needs assistance upon review by all Board members to be given in the form of gift cards (gas, meal, and other basic necessities). Food and basic necessity items can also be purchased directly by the Addison Jo Blair Foundation to be delivered to the family by a committee member if need be. CURESEARCH – This national organization targets pediatric cancer research by funding advanced clinical trials and research cases across the U.S. with the goal of finding cures, better medicines, protocols and treatment plans for pediatric cancers. 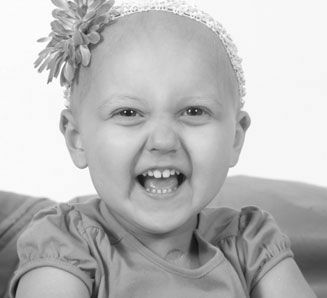 *In 2018, the Addison Jo Blair Foundation allocated $1,000.00 to CURESEARCH in its efforts to find cures and better treatment options for children diagnosed with cancer. Since 2011, the Addison Jo Blair Foundation has allocated a total of $7,869.86. The Addison Jo Blair Memorial Scholarship is for a student who has demonstrated integrity and perseverance in overcoming adversity in his or her life. *Congratulations to Heavin Goodman, a 2018 CHHS graduate who was this year’s recipient of the $1,000.00 scholarship. Heavin currently attends ECTC and is pursuing a degree in Nursing. Since 2011, the Addison Jo Blair Foundation has provided $7,000.00 total in local scholarships. *All members serve both time and commitment based on a 100% volunteer basis. All committee members abide by the Conflict of Interest Policy.